Xiaomi Redmi note 5 , Redmi note 5 pro is the latest mid-range smartphone from Xiaomi which comes with the latest mid-range hardware and MIUI. Xiaomi is shipping the smartphone with MIUI 9.2 based totally on Android 7.1 Nougat preinstalled with lots of recent features which you can know about. We have been using the Xiaomi Redmi note 5 pro for the previous few days. on this post, we’ve got tried to cover some of the best features and Redmi note 5 pro tips and tricks. let’s get started! If you bought the Redmi Note 5 Pro in the first batch, the Face Unlock update would have greeted you as you unboxed. To activate Face Unlock in Redmi Note 5 Pro, go to Settings>>Lock Screen and Passwords>> Add Face Data. Once you have added Face data, you can toggle on the option to unlock the phone using Face data on the subsequent screen. The Redmi Note 5 Pro has a taller than usual form factor. the 18:9 aspect ratio makes it comfortable to grip and handle for a 6-inch display phone, but you might still have trouble reaching all navigation buttons, power buttons, etc. To work around the issue, you can activate Quick ball. This is a floating button that can let you access shortcuts like Home, Back, recent apps, torch, notification panel, etc. You can position it anywhere you like and drag it from the corner when required. To activate Quick Ball, Go to Settings>>Additional Settings>> Quick Ball. Talking about the cameras in the mid-range phones, the Redmi Note 5 Pro has the best camera feature and specs. With the inclusion of dual-camera setup, the device manages to capture great shots and video in its segment. However, one of the most important features EIS to stabilize images and videos was missing when the phone was initially launched. However, with the later OTA updates, Xiaomi has brought the most asked feature and to enable Electronic Image Stabilization in Redmi Note 5 Pro. Head over to Video Mode in Camera Application and tap on the menu button on the top-right corner and tap on Settings. Search for the Image Stabilization option under Video Settings and toggle to enable/disable it and you are ready to take shots without any blurs. 1. Open the camera app and select the “Photo option”. Tap on the “switch” icon to change to your front-camera. 2. Now, tap on the person icon in the top row as shown in the image. This will enable the portrait mode or the depth-effect. And that’s it. Images clicked using this mode will have a blurred background, thus effectively creating a portrait image. Also Read: The Latest MIUI 10 Has Finally Been Revealed! During the launch event, Xiaomi stated that the Indian market is one of their most successful markets, and they will continue to roll out features specific to this market. In respect to that statement, Xiaomi has added Indian-oriented features to the App Vault in MIUI 9 present on the Redmi Note 5 Pro. With App Vault, users will be able to access important applications like Paytm or Ola by simply swiping left from the home screen. You can get real-time information about your booked ride, or make payments swiftly simply by the swipe of a screen. The Redmi Note 5 Pro has a stretched 18:9 display and since Android has scalable apps, you can stretch all apps to support full-screen. 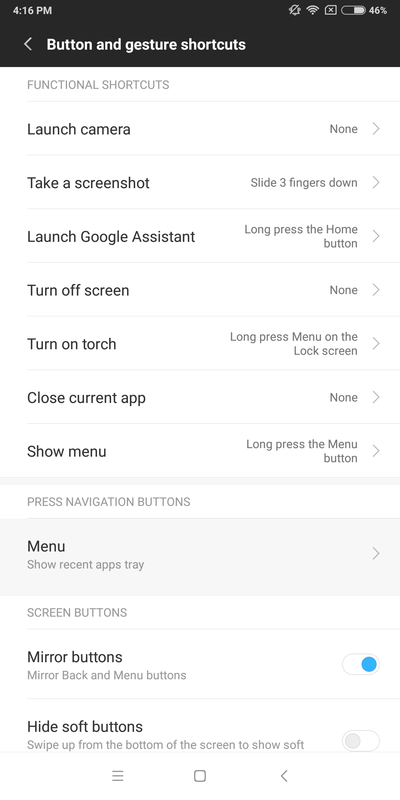 To do so on the Redmi Note 5 Pro go to Settings>>Additional Settings>>Button and Gesture shortcuts>> full-screen mode. If you need to recover the password of a wifi connection, or if you want to share your WiFi with friends without revealing your password, you can do so with the help pf Share WiFi QR code on Redmi Note 5 Pro. Go to Settings>>WiFi and tap on the WiFi connection that you are already connected to. With a 5.99-inch screen, split-screen multitasking is bound to make things easy for everyone. In order to open your apps in the split screen mode, simply tap on the Recent button and you will see the “Split Screen” written at the top of your screen. Tap on it and then drag the app you want to use in the split screen mode. Once you select an app, the option to select the other app will come in the bottom half of the screen. The Redmi Note 5 Pro is a dual-SIM device, but wouldn’t it be great if you could run WhatsApp on both those numbers on one single device? 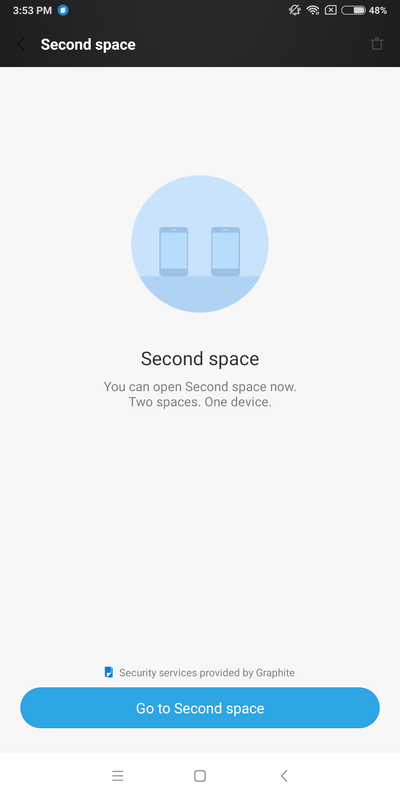 Well, thanks to MIUI 9 on your device, you can. The device comes equipped with the “Dual Apps” feature that allows you to create a copy of another app, such as Facebook, Instagram, WhatsApp, and use different numbers/accounts on them while being on the same device. To make use of this feature, simply head over to Settings -> Dual apps and enable the toggle next to the app you wish to create a copy of. You can follow us on Twitter, add us to your circle on Google+ or like our Facebook page to keep yourself updated on all the latest updates on how-to guides, Tech tips & tricks and how to get things done.